CARP LA students sit in the front for the group photo. ACLC’s vision is to bring churches of different denominations together to work toward a common goal of peace. CARP LA began partnering with them in August of 2017 for the 1000 person rally held at City of Refuge last year. CARP LA members prepare for the event. The title was chosen in response to the ever-growing division in American society and in Christianity itself. The fruit of this divide is the breakdown of the family and the moral collapse of the youth this country. 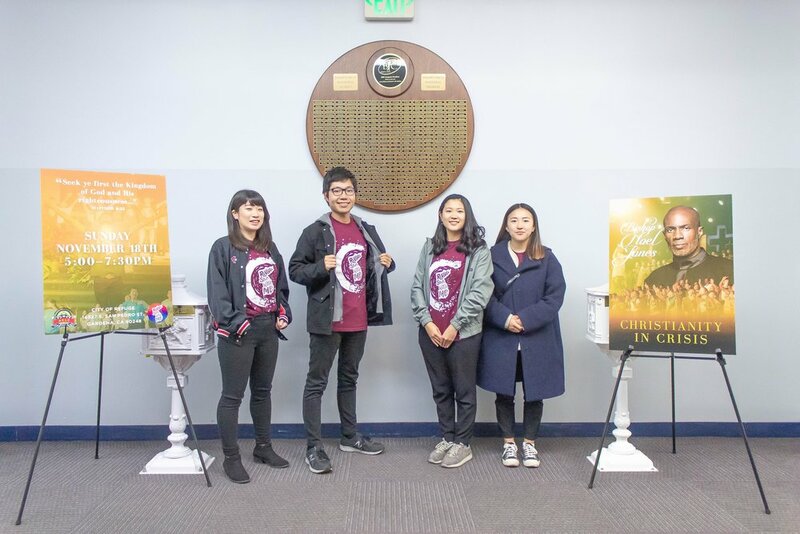 In response to the outreach, 12 churches, including the Los Angeles Family Church and City of Refuge gathered to re-ignite their faith and become part of the solution. Patrick Bolton energizes the audience with his opening number. The event opened with a praise and dance worship service by Patrick Bolton and his band, the Spirit of David. During his worship session, he invited the participants to come to the front and dance; CARP LA ran up first, leading the rest of the congregation to fill up the space in front of the stage. The opening prayer was given by the former pastor of F.A.M.E. Church, Dr. Cecil Murray, which was followed by opening remarks from the chairman of National ACLC, Rev. Michael Jenkins. Rev. Michael Jenkins gives opening remarks. Following this, there was a video presentation on the current crisis in society created by CARP LA’s Masataka Asaoka. When the house lights came back on, Matt Ishizuka and the LA Family Band performed “Rebirth,” written by former World CARP President Hyo Jin Moon. Joshua Holmes gives the student perspective. After these two presentations, Joshua Holmes, CARP California State University, Long Beach (CSULB) Vice President, gave a speech highlighting how the current state of society and the churches have impacted the youth. The heartbreaking reality of youth today is that they don’t feel value and purpose and are suffering. Joshua’s tearful speech implored the faith leaders to take a more active role in helping and help CARP reach out to the youth. Bishop Noel Jones gives the keynote address. 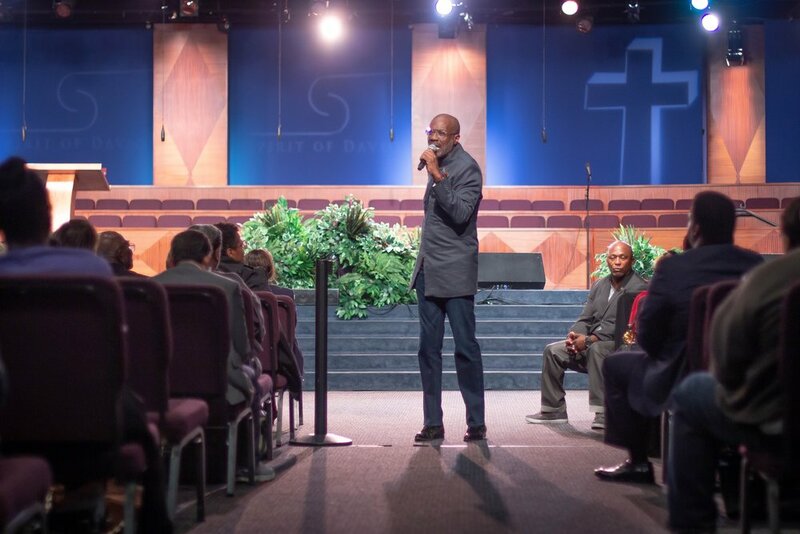 The keynote address was delivered by Bishop Noel Jones. He spoke about the responsibility Christians have. As members who received the love of Christ, their responsibility is to love the world and take care of it. After his speech, CARP Pasadena City College (PCC)’s advisor, Professor Grace Apiafi, offered a prayer and invited the participants to pray. Professor Grace Apiafi gives the representative prayer. The event concluded with a call to action by CARP California State University, Los Angeles (CSULA) member, Sarah Takhar, and a dance performance from CARP LA. CARP LA closes the event with a dance. Part of CARP’s founders’, Rev. Sun Myung Moon and Dr. Hak Ja Han Moon, vision included the cooperation and unity of Christian churches and all faiths. 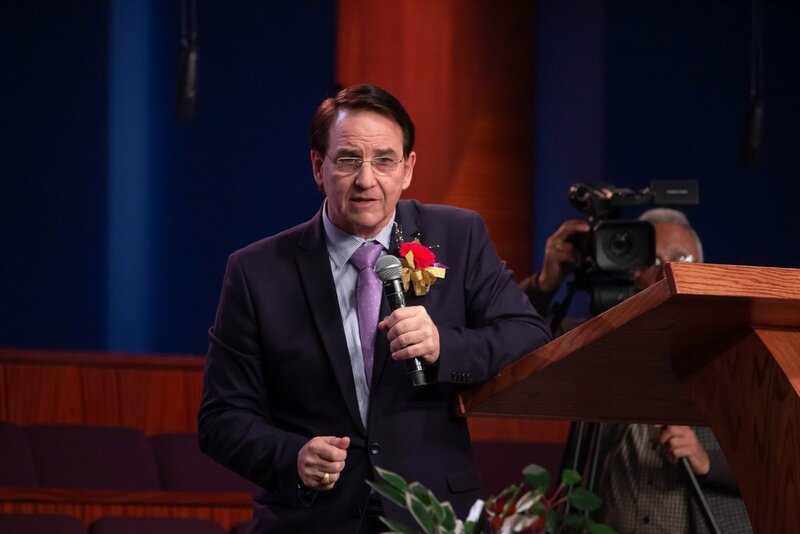 With the help of CARP’s youthful spirit, the churches in attendance that night were able to experience that vision and a clear purpose. While CARP remains interfaith, having the opportunity to directly interact with churches and share CARP’s vision in their house empowered the CARP LA students to experience the Holy Spirit for the first time and make partnerships across religious lines to continue making a positive impact on their campuses. The Christian ministers, congregations, and CARP members in attendance were all deeply moved. Members of the City of Refuge shared that this event lifted the heaviness weighing on their hearts and allowed them to re-commit themselves to aiding their divided communities. CARP PCC takes a picture with their advisor. CARP LA thanks ACLC, Bishop Noel Jones, and the other partners for this experience.